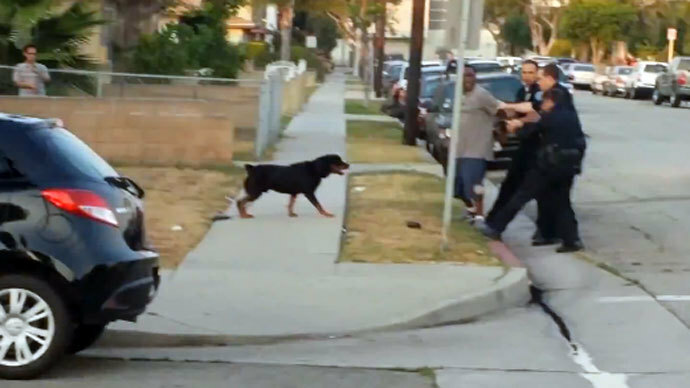 The California owner of a Rottweiler that was fatally shot by police has been charged with multiple felony counts on Tuesday, including one charge of intimidating a witness. He is currently being held on $310,000 bail and faces up to five years in prison if convicted of the six felony counts and one misdemeanor he is charged with. 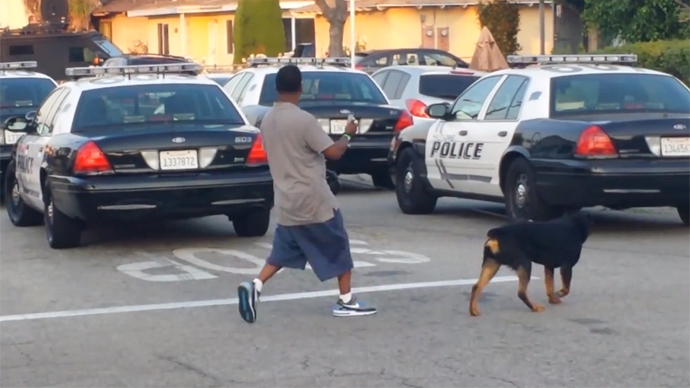 Leon Cordell Rosby, a 52-year-old man from Hawthorne, Calif., was walking his dog “Max” while watching a police response to a robbery on June 30. 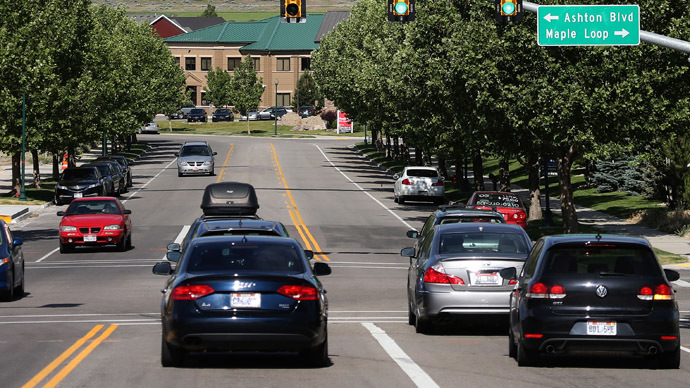 The California man had loud music playing from his car and was videotaping the showdown with his cell phone. Police accused him of disturbing the crime scene, and a video of the incident quickly went viral, garnering millions of views. 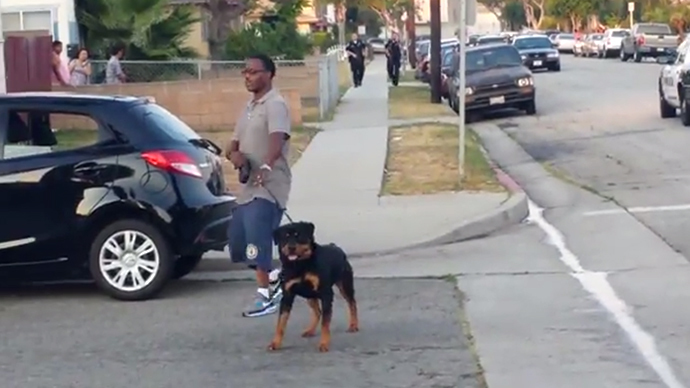 As three officers approached him, Rosby put his Rottweiler in his car and allowed the police to apprehend him. 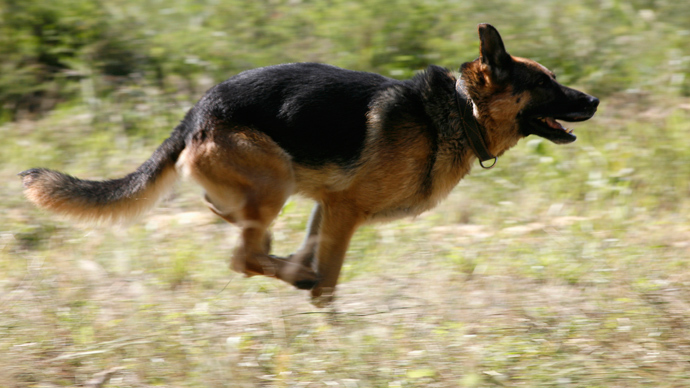 But while he was being arrested, the dog jumped from an open car window, ran toward the officers and barked at them. One policeman shot the dog four times, causing the writhing Rottweiler to slowly bleed to death on the street. Rosby’s knees buckled as he cried out for the dying animal. “There was no way Max should have died like that,” he later told NBC4, describing the shooting as an “execution”. The incident outraged animal lovers and animal rights activists across the country, and the Hawthorne Police Department received letters of condemnation and death threats. In response, the police department released a second video of the incident, which showed more of the officer’s actions before he shot the dog. More of Rosby’s taunts to police could also be heard in the clip. After the release of that video, Rosby allegedly went to the home of the witness who recorded it and “verbally confronted” her and her son, police told KTLA. Now, Rosby is facing additional charges for his reaction, and is being held until his court date. Despite the public outcry against the actions of the officers, Rosby was on Tuesday charged with two counts of intimidating a witness, two counts of dissuading a witness from prosecuting a crime, and two counts of making criminal threats – all six of which are felonies. 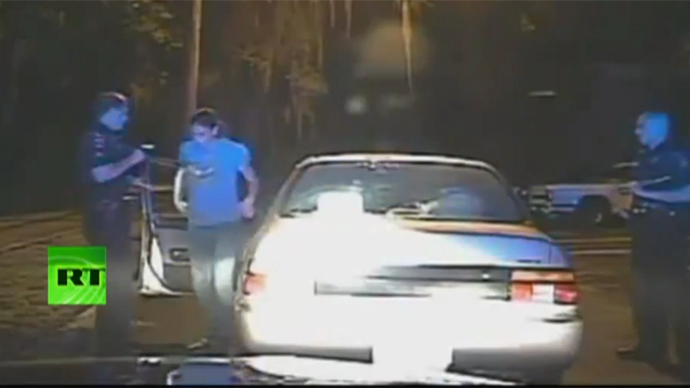 He was also charged with one misdemeanor count of resisting arrest. Mark Geragos, the attorney representing Rosby, told KTLA that police are trying to cover up the fact that they killed the Rottweiler by instead focusing on the wrongdoings of the defendant. Rosby pleaded not guilty to all of the charges against him and is due back at the Los Angeles Airport Courthouse on Sept. 10.